North Korea's recent rocket launch amounted to the test of a ballistic missile capable of carrying a half-tonne payload as far as the US west coast, the South Korean defence ministry said Sunday. Sunday's estimate was based on analysis of an oxidiser container -- recovered from the rocket's first-stage splashdown site -- which stored red fuming nitric acid to fuel the first-stage propellant. "Based on our analysis and simulation, the missile is capable of flying more than 10,000 kilometres with a warhead of 500-600 kilograms," a defence ministry official told reporters. The estimated range of 10,000 kilometres (6,200 miles) covers the whole of Asia, eastern Europe and western Africa as well as Alaska and a large part of the US west coast including San Francisco. Without any debris from the second and third stages to analyse, the official said it could not be determined if the rocket had re-entry capability -- a key element of inter-continental ballistic missile (ICBM) technology. 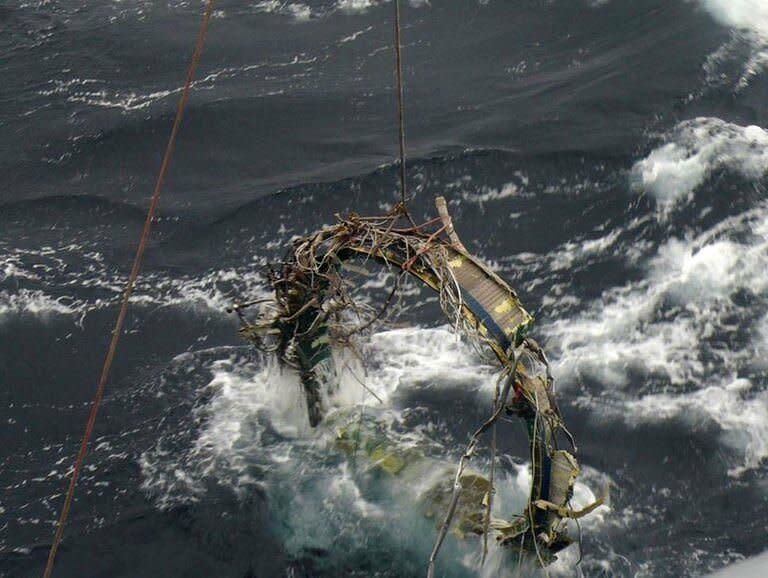 The South's navy later recovered three more pieces of the rocket -- a fuel tank, a combustion chamber and an engine connection rod -- from the Yellow Sea and has been analysing them since Friday, Yonhap news agency said Sunday. "As additional pieces have been salvaged, we will be able to look deeper into the function and structure of North Korea's long-range rocket," said a defence ministry official quoted by Yonhap. The communist North apparently timed the widely-condemned launch to mark the first anniversary of the death of its longtime ruler Kim Jong-Il and drum up more support for his son and successor, Kim Jong-Un. Since the launch, Pyongyang's propaganda machine has gone into overdrive to heap praise on the ruling Kim dynasty for leading the successful mission and to urge support for the young ruler who took over a year ago. The nuclear-armed nation has awarded medals to 101 rocket scientists and technicians who worked on the launch, the official Korean Central News Agency said Sunday. 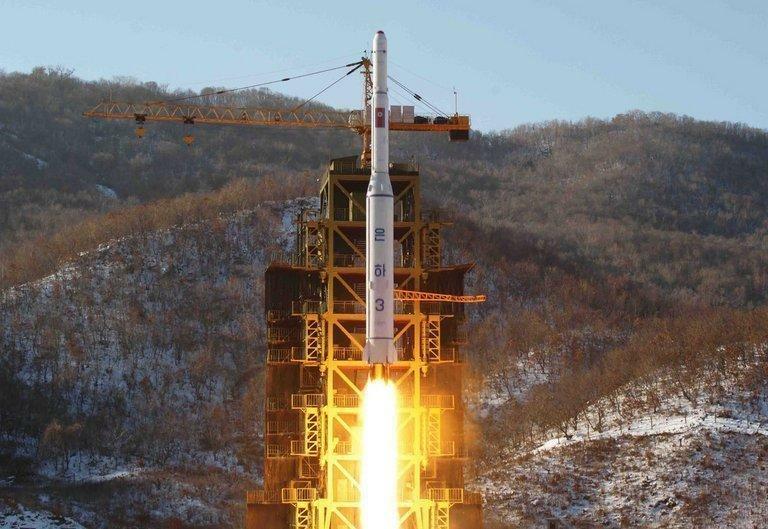 "By successfully launching satellite Kwangmyongsong 3-2, they instilled great national self-esteem... and dealt a sledge-hammer blow at the hostile forces' desperate moves to check the advance of (the North)," it said.